This page shows the latest IOmet news and features for those working in and with pharma, biotech and healthcare. Other deals have included the acquisitions of IOmet last year, cCAM Biotherapeutics in 2015 and OncoEthix a year earlier. 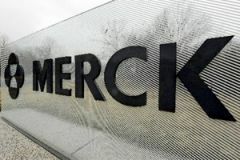 IOmet will become a wholly owned subsidiary of Merck after the transaction goes through, according to Merck. ... IOmet's chief executive Alan Wise said becoming part of Merck "creates significant opportunity for us to advance the treatment of cancer. ".